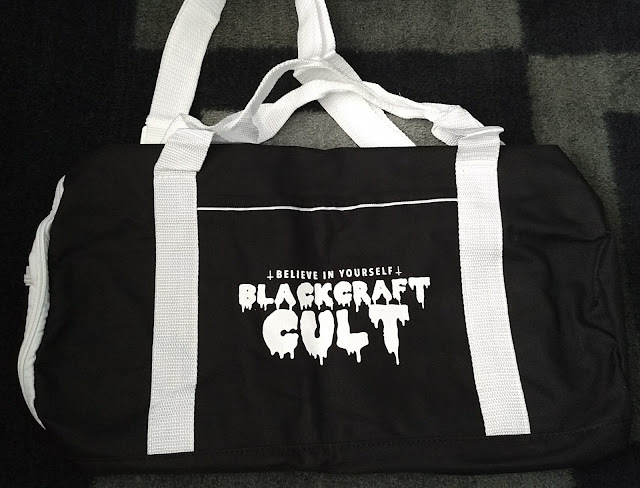 Medium size, thick nice quality duffel bag. 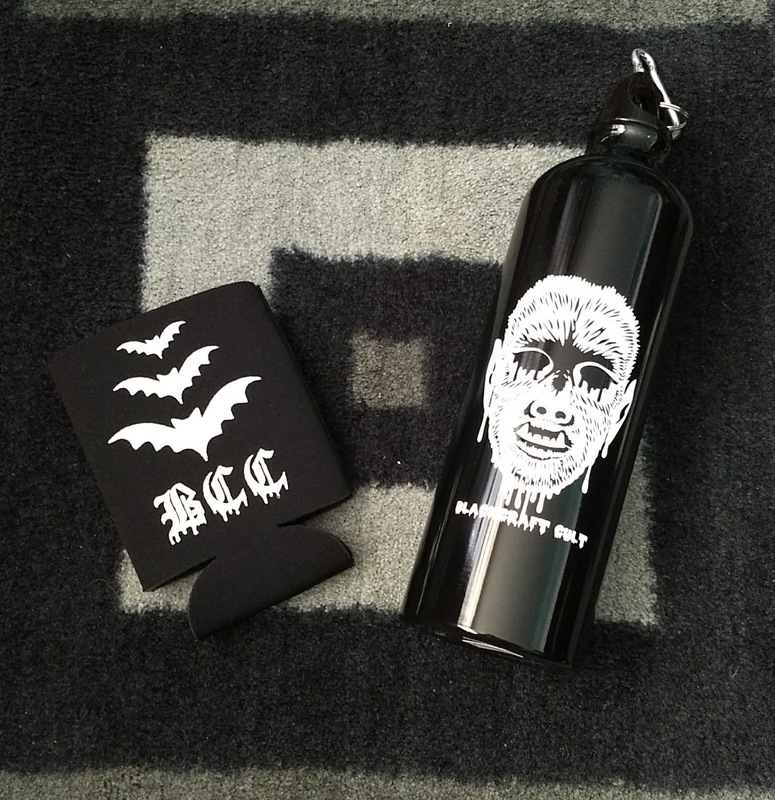 Bat Koozie and Wolfman water bottle. 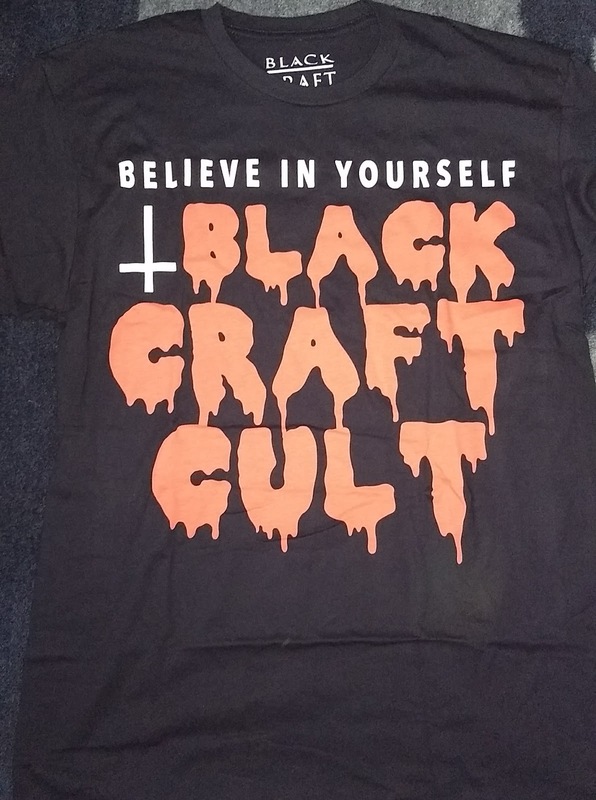 Overall I'd say this box was worth it for $60. 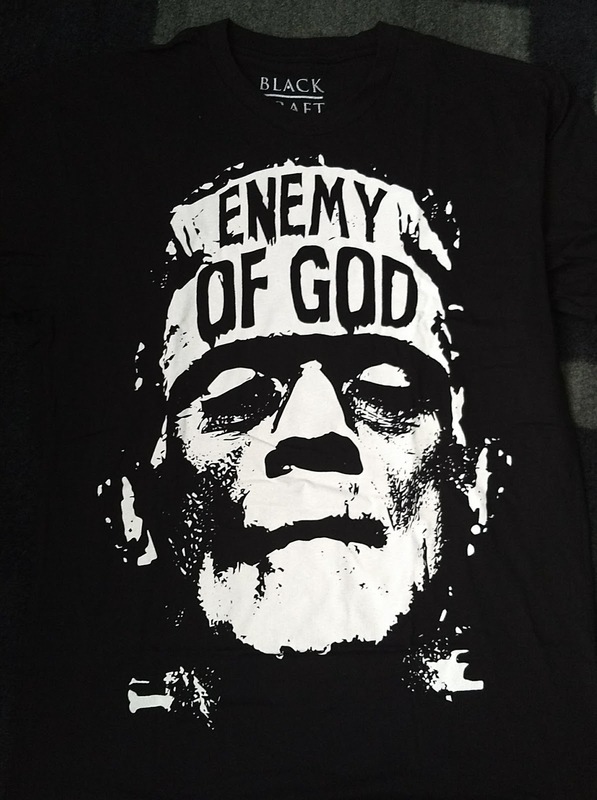 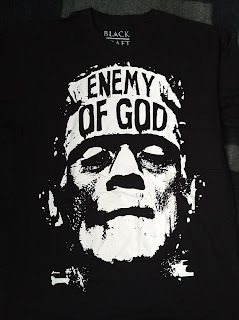 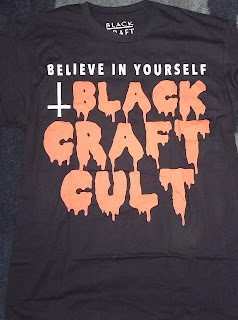 I can't wait to wear the Ts. I think the water bottle will get the most use. 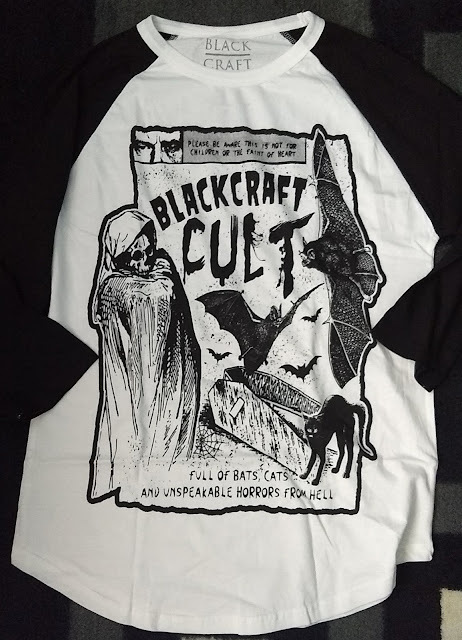 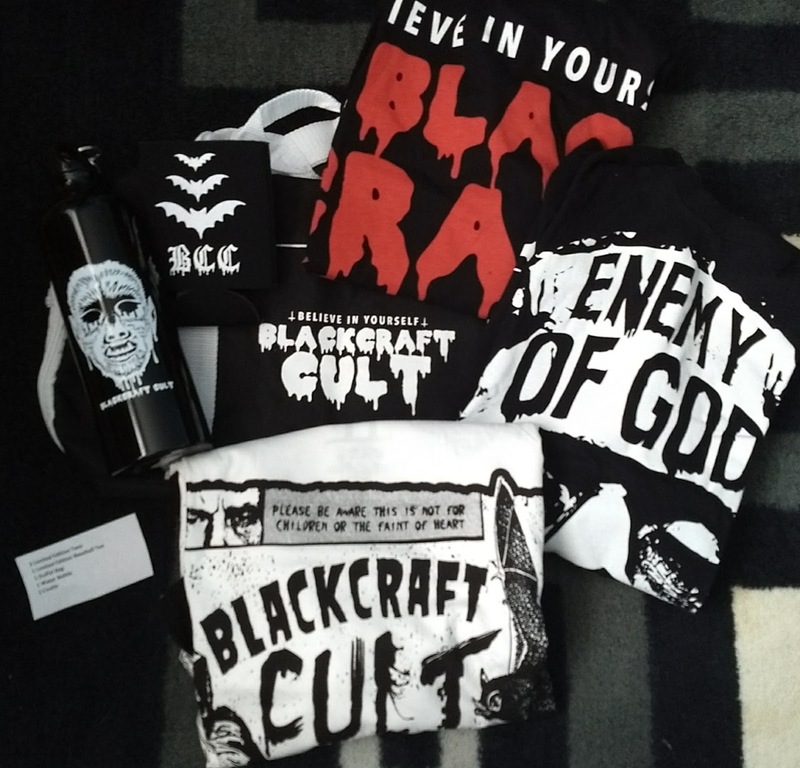 Thanks Black Craft Cult!